Poet Daniel Thompson received posthumous honors in 2005 from the City of Cleveland when West 2nd Street was renamed “Daniel’s Way” to commemorate the poet. Today, Thompson’s friends continue to remember and strive to honor his legacy. Drumplay, a band with whom Thompson frequently performed, is releasing a new album that features performances by Cleveland’s own “Bread Poet.” The band will be kicking off the release of their album, “Who’s Listening?” with two live benefit concerts, both starting at 8 p.m. on May 11th and 12th. Both events are free and open to the public. 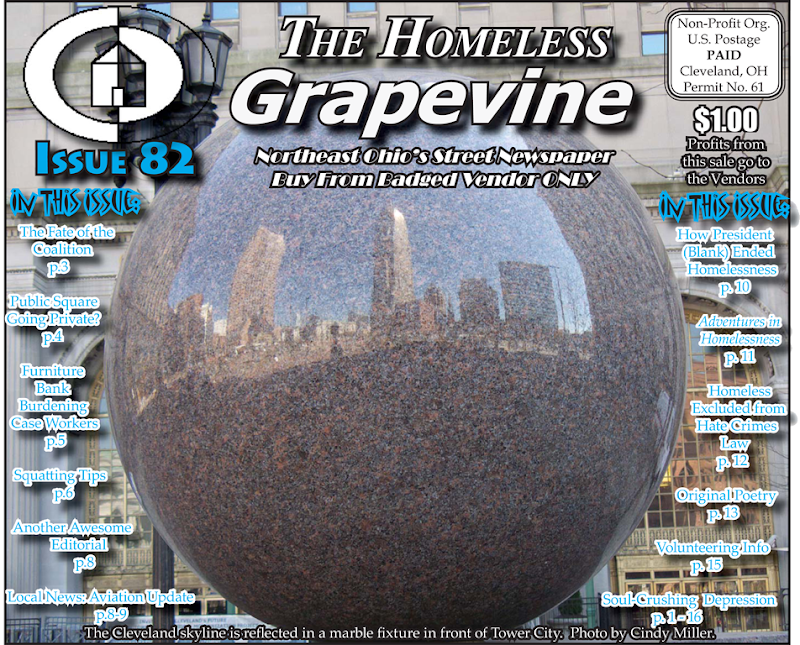 Donations are requested to benefit The Homeless Grapevine newspaper, an empowerment project of the Northeast Ohio Coalition for the Homeless. Thompson regularly published his poems in the paper, and even paid to print a special issue in 2004, shortly before his death, to help the Grapevine avoid a brush with bankruptcy. According to James Onysko, front man for Drumplay, the release of “Who’s Listening?” marks the Crystal anniversary for two important milestones: the founding of Drumplay, and one of Daniel Thompson’s titular honors. “With this CD release party, we celebrate our 15 years; and it is also 15 years for Daniel Thompson as Poet Laureate of Cuyahoga County – having been so named on April 1, 1992, by the Cuyahoga County Commissioners. We dedicate our new ‘Who’s Listening?’ to our poet warrior,” said Onysko.